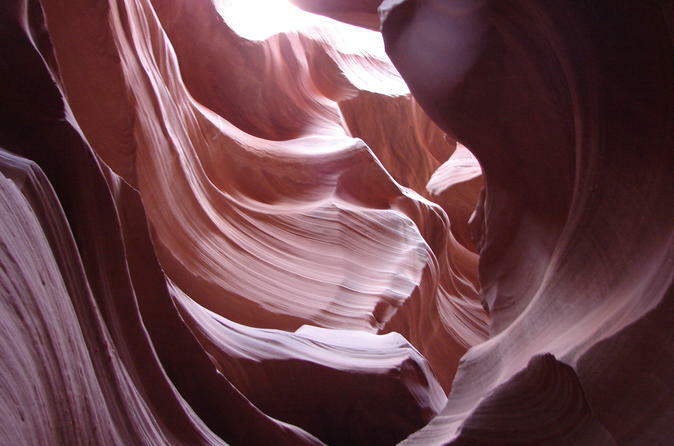 Embark on a guided tour around the Antelope Canyon, led by a professional who is also a native to the area. Fuel up on a lavish lunch while in Page, Arizona, and later enjoying some free time to explore. Witness one of the most breathtaking views in North America at Horseshoe Bend. Duration is 12-13 hours from Pickup from Drop-off. Lunch and Guided Tour of Antelope Canyon ticket included. Pickup will occur at 6am in the morning. We will start on our 4 hour journey to Page AZ. Along the way there will be narration of a number of sites and historical state history. Also your group will be a private tour in a luxurious SUV. We will have a midway pitstop at the most popular Native American trading post in Arizona at Cameron, AZ. Here you can Perouse the Native American arts and crafts for 30 minutes. Then we will venture on to Page. Upon arrival we will eat a quick lunch before making our way to the Antelope Canyon Tour. After the over hour long tour of Antelope Canyon is over we will head to Horseshoe Bend to see one of the most spectacular views of the SW. We will spend roughly 45 minutes to an hour at the viewpoint before departing for the hotel. We will arrive back at the hotel at around 7pm in the Phoenix/Scottsdale area. Lunch and the Antelope Canyon guided tour ticket is included. Also keep in mind there is a fair amount of walking that takes place during this tour on the Antelope Canyon portion and Horseshoe Bend. Expect to walk over 2 miles RT between the two sites.